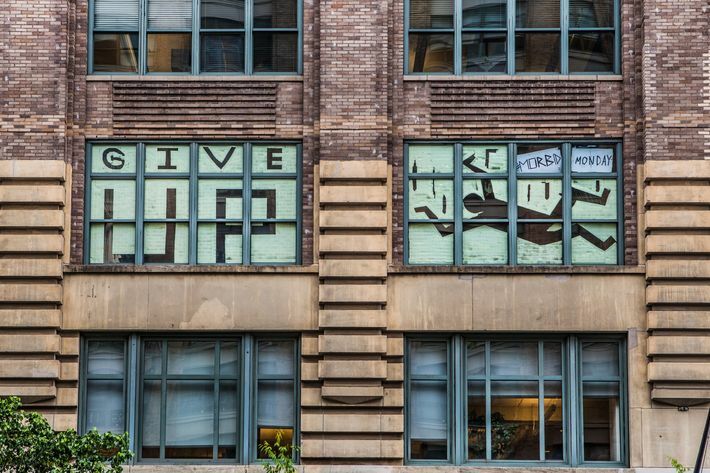 Windows on the Canal Street side of 200 Hudson Street. 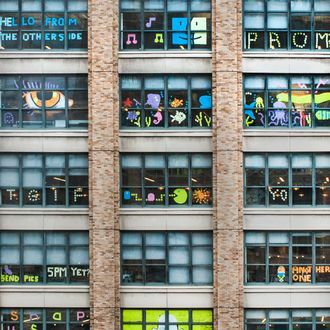 What reportedly started last week with a simple message reading “HI,” spelled out in Post-it notes in the window of a downtown office building, has escalated into a war of elaborate Post-it designs between two buildings across from each other on Canal Street that demonstrates the creative talents of employees, as well as a rather impressive ability to put off doing actual work. 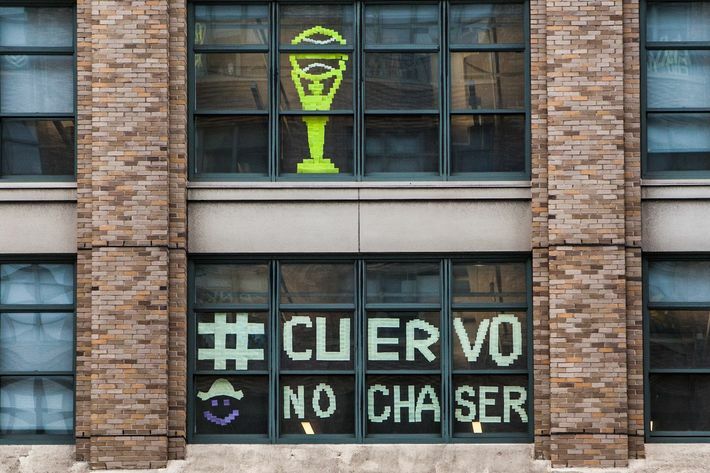 Employees at the two buildings — 200 Hudson Street and 75 Varick Street — have been posting images of the designs on social media with the hashtag #canalnotes. 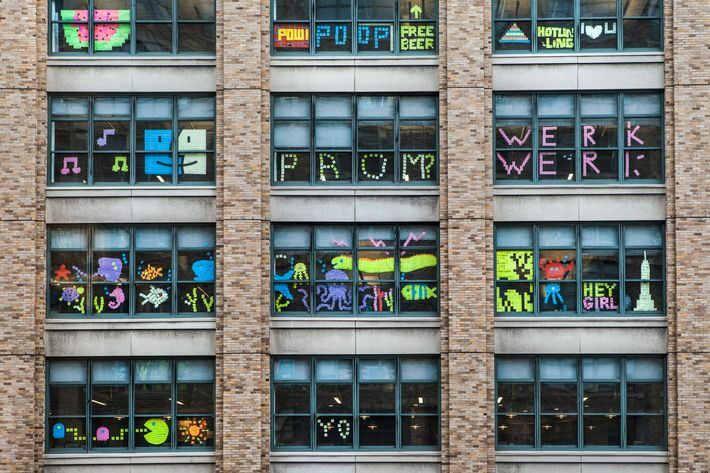 If nothing else, the Canal Street Post-it showdown is a more playful window-related war than one in which a Tribeca resident is accused of shining spotlights into her neighbor’s apartment because his big-screen TV glowed into her own. 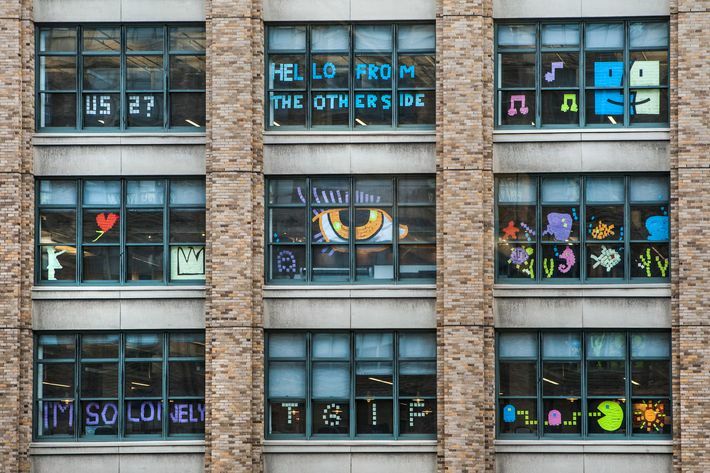 This isn’t the first time office-supply-based designs have taken over New York buildings: Last year, a Post-it Santa Claus in a building on 26th Street and Sixth Avenue sparked a similar war between several start-ups in the area. 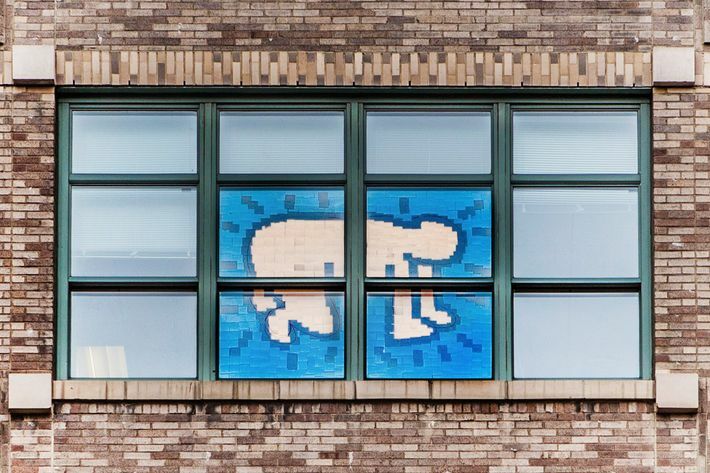 It’s hard to say which of the buildings facing Canal Street has the better Post-it work, so we’re going to go ahead and declare Staples the real winner here.